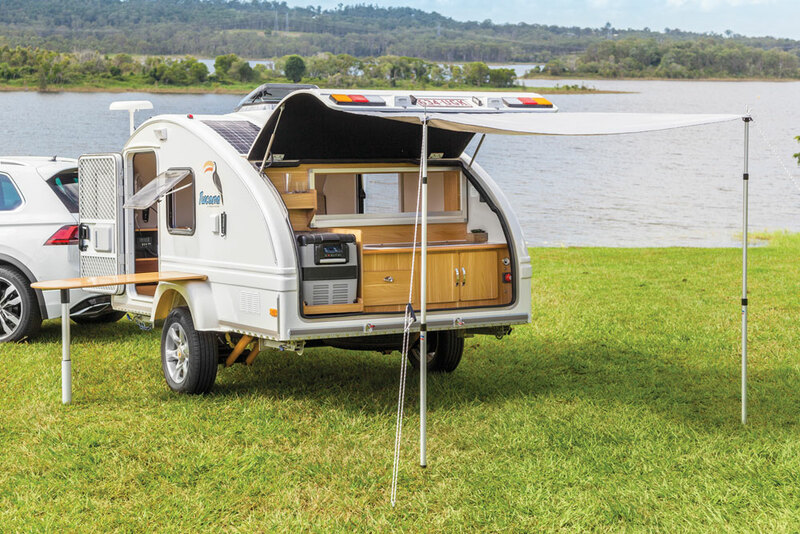 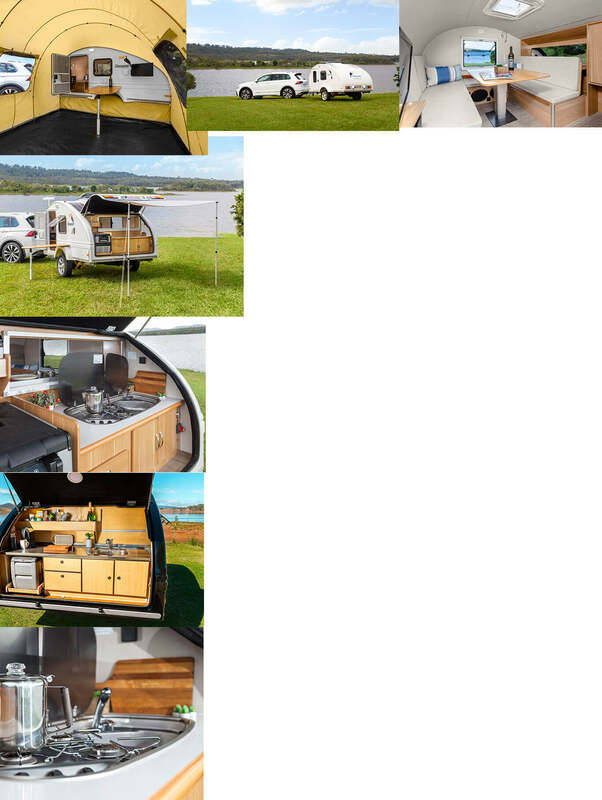 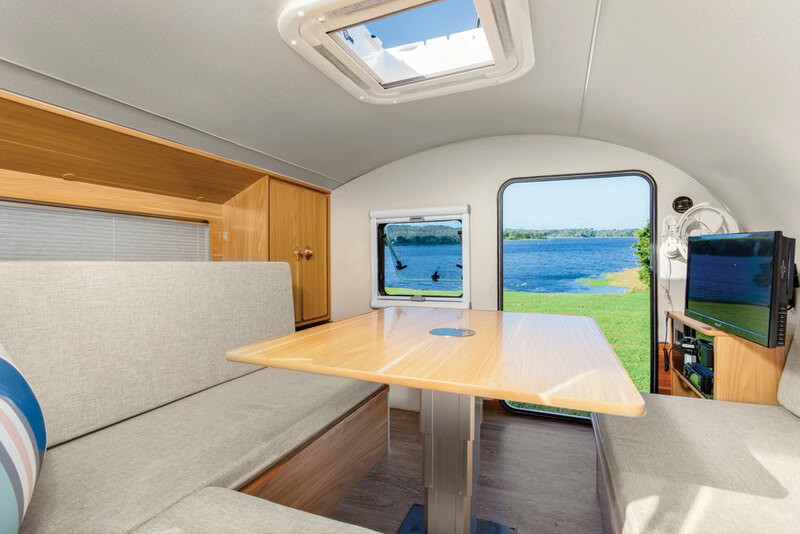 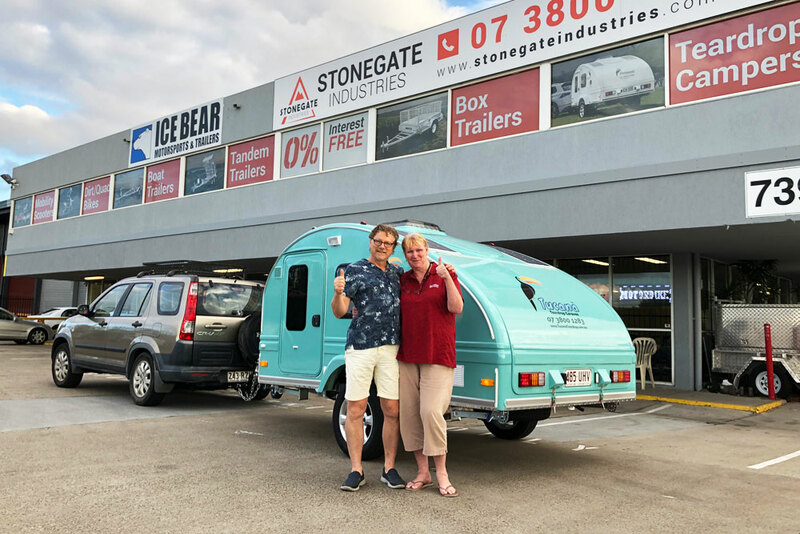 Striking retro styling, coupled with the latest features at an incredible price, the all new teardrop camper is here. 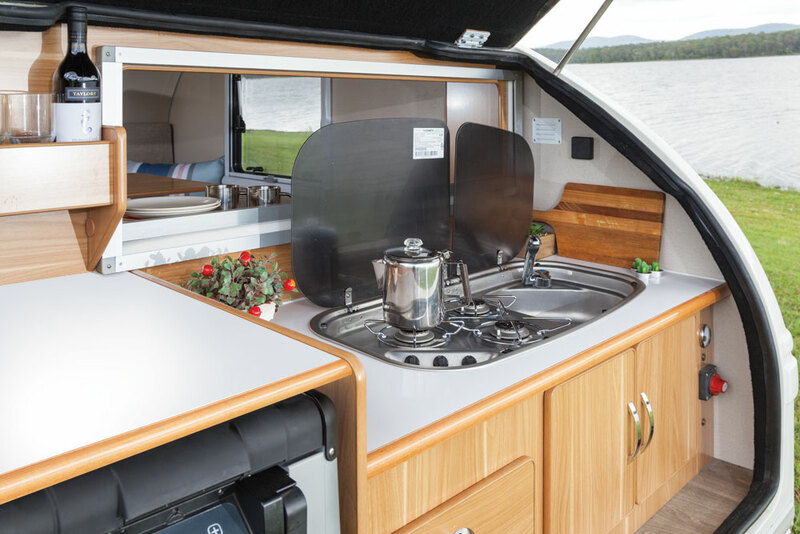 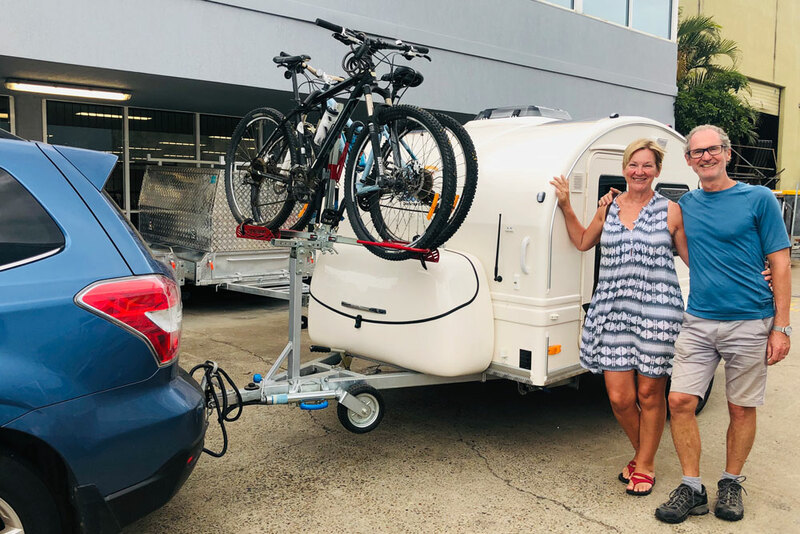 Explore with confidence knowing that whether it be a quick roadside stop or a culinary creation the Tucana’s generous kitchen layout has you covered. 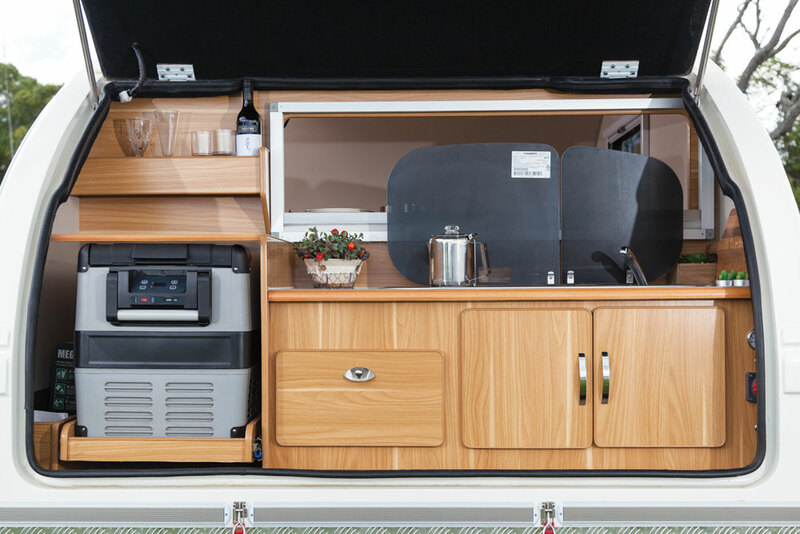 It has everything you need with a gas cooktop, stainless steel sink, cabinet storage, preparation bench, fridge slide and an 80L water tank. 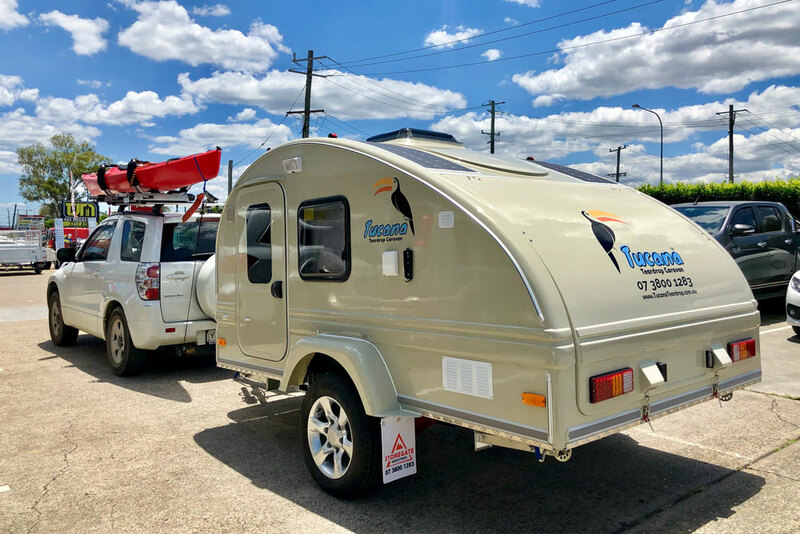 Step inside the Tucana’s interior and you are welcomed with a double bed, an RV media entertainment suite and a host of internal storage options for all your precious belongings. 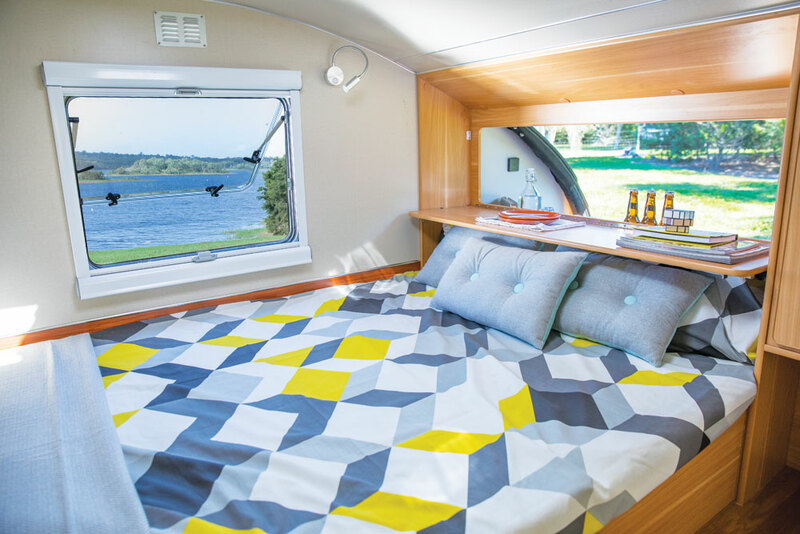 In only a couple minutes your double bed can convert to a comfortable lounge area, perfect for reading a magazine or having a sit-down dinner. 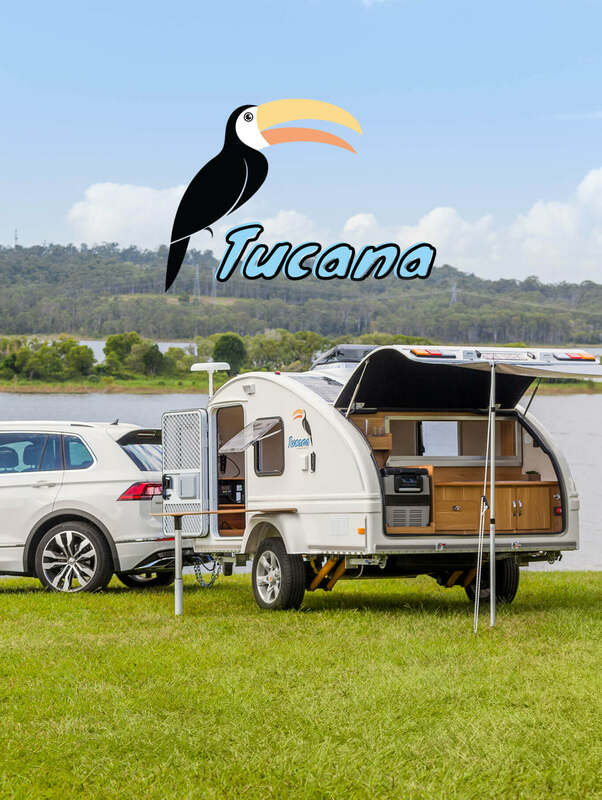 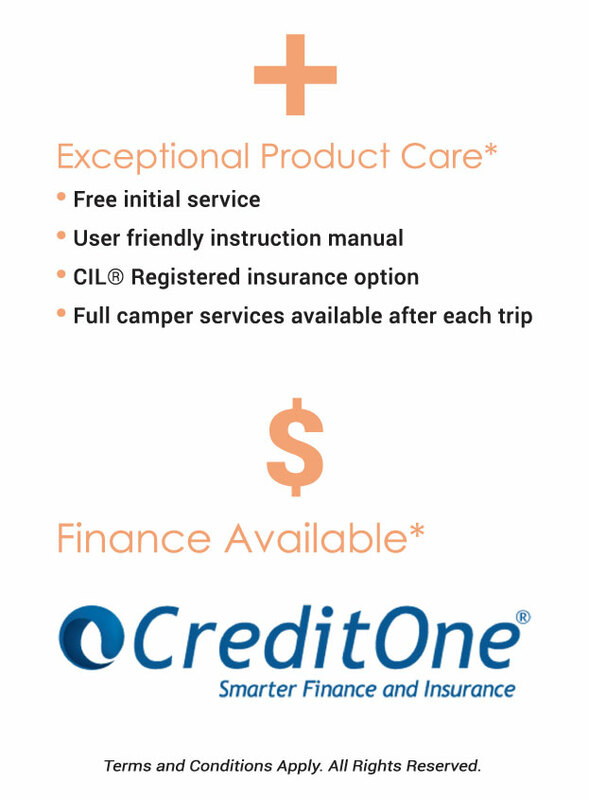 The Tucana comes standard with the wonderful addition of a large fully enclosed tent. 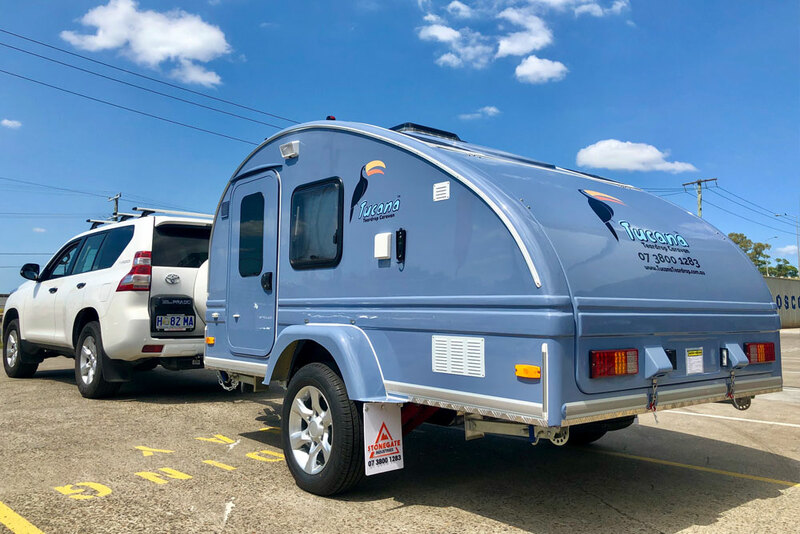 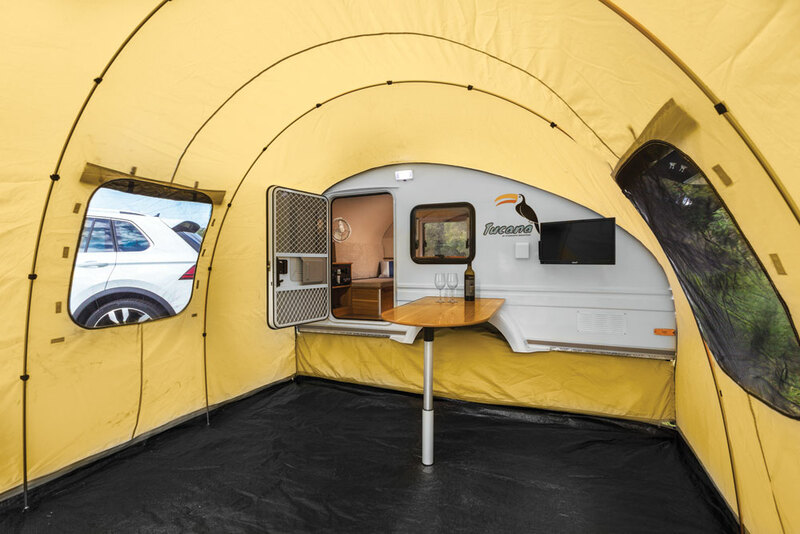 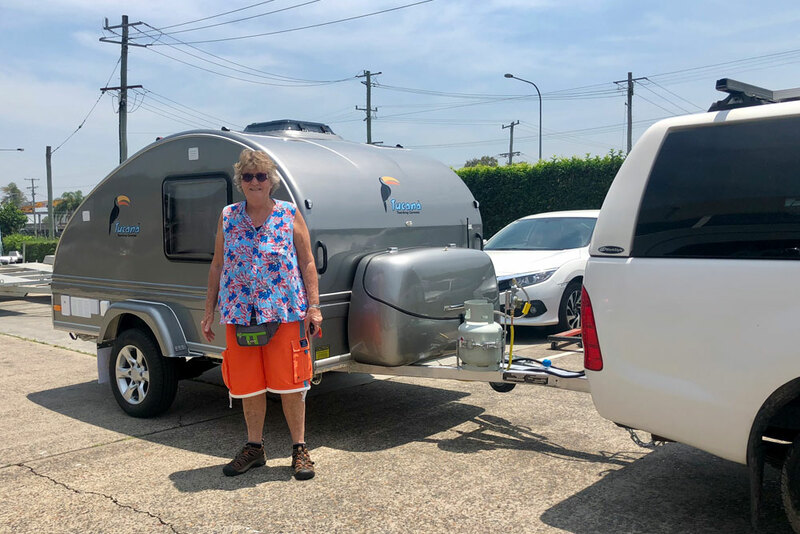 This tent flows on from the main door of the Tucana, expanding the sleeping and shelter options and giving you even more room for family time. 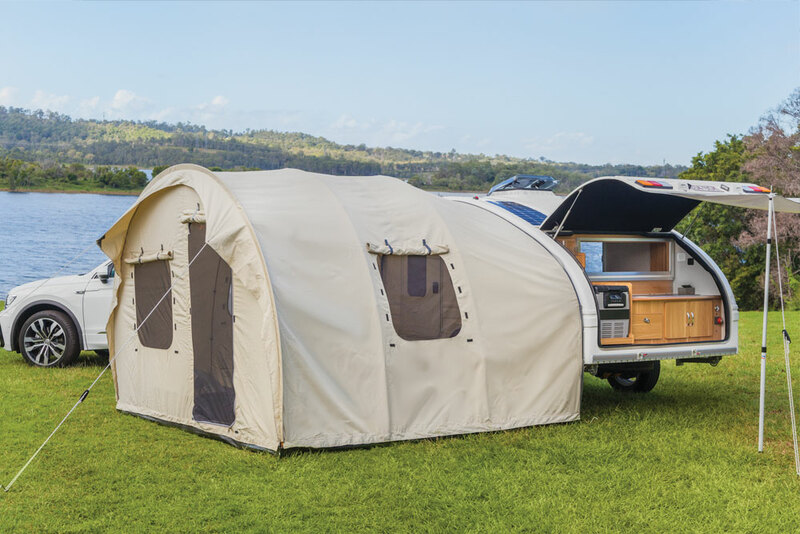 Quick and easy set up perfect for the weekend getaway. 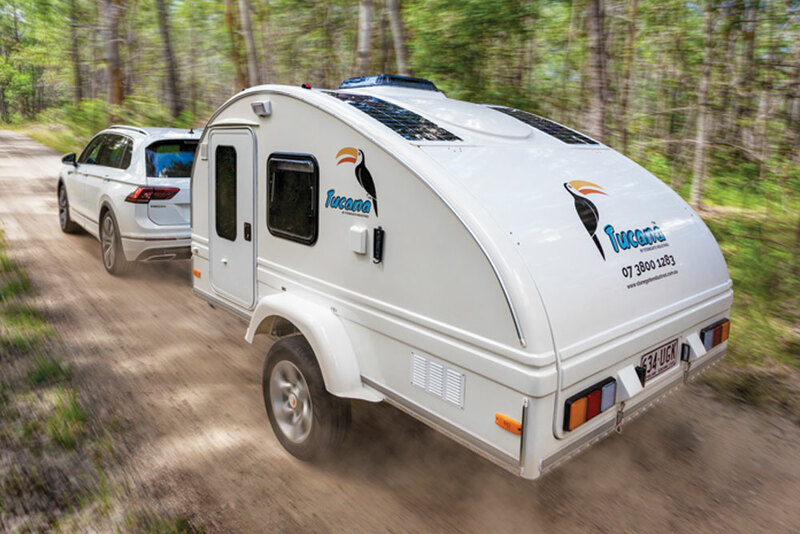 There is no reason you should go without while travelling the country. 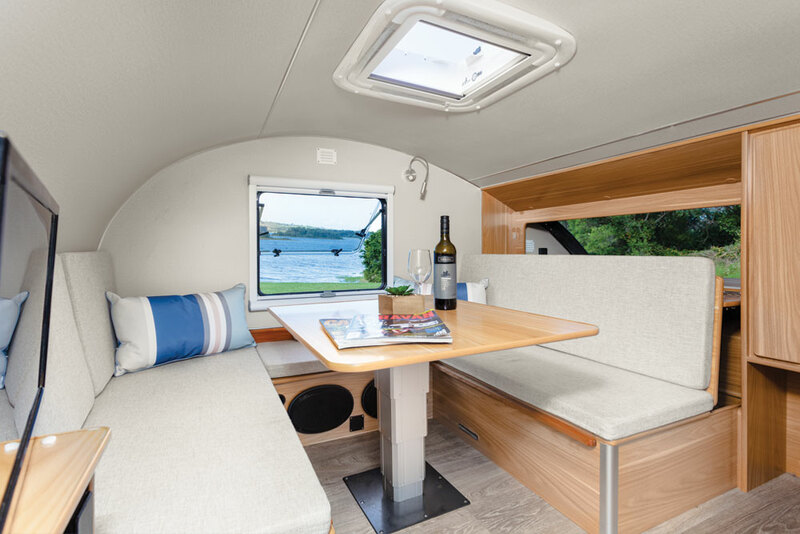 After a day of exploring nature or dancing at your favourite festival sit back and enjoy watching the TV, radio or take advantage of 240v to charge your devices. 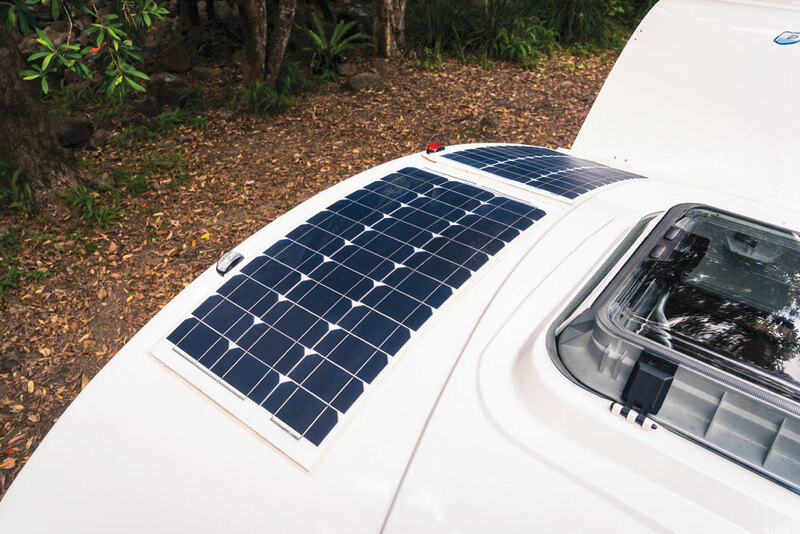 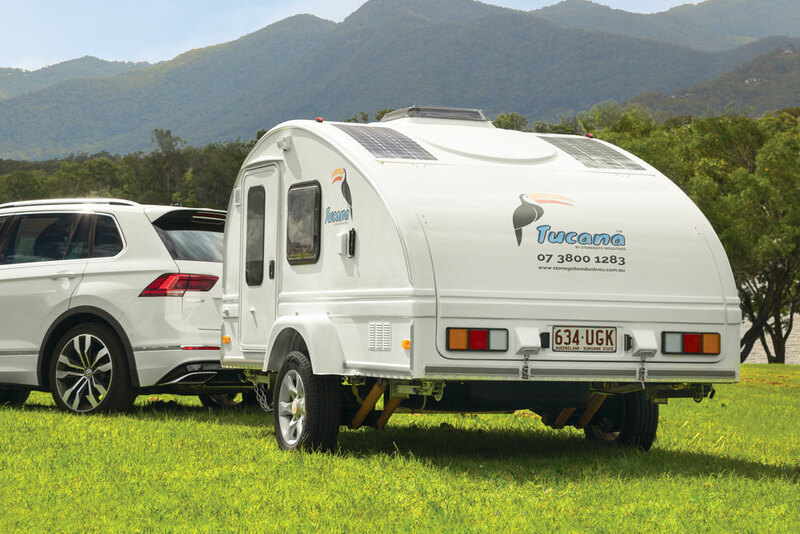 With solar panels, external power and an inverter charger your Tucana will be ready at a moments notice. 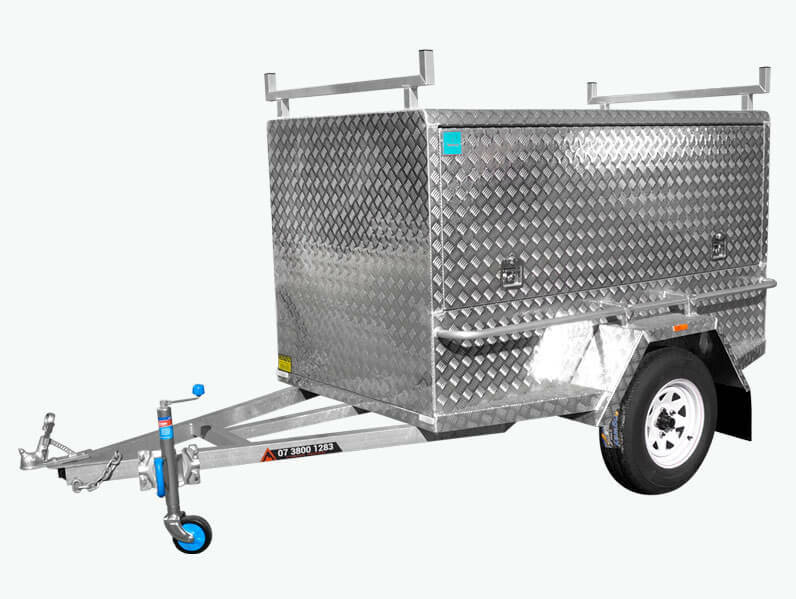 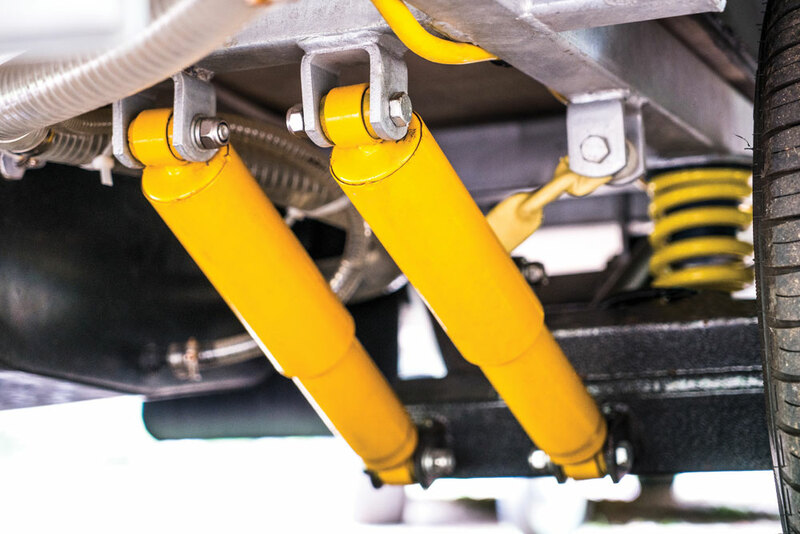 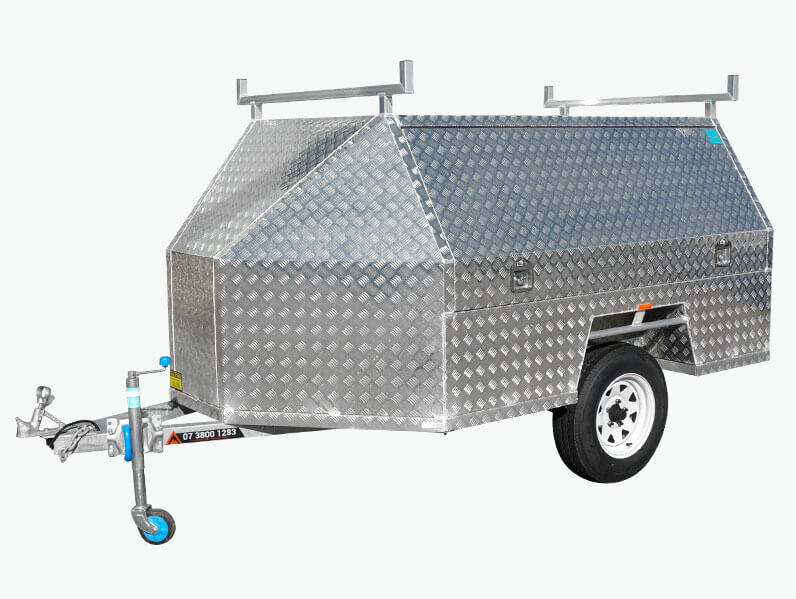 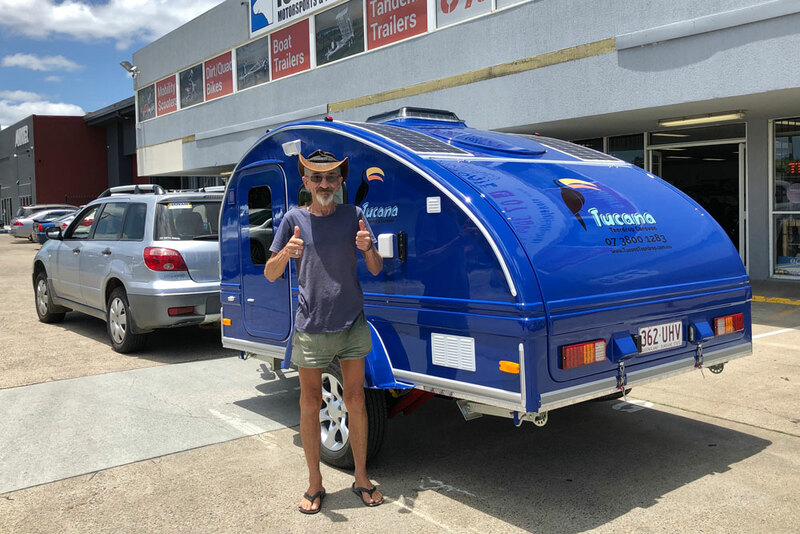 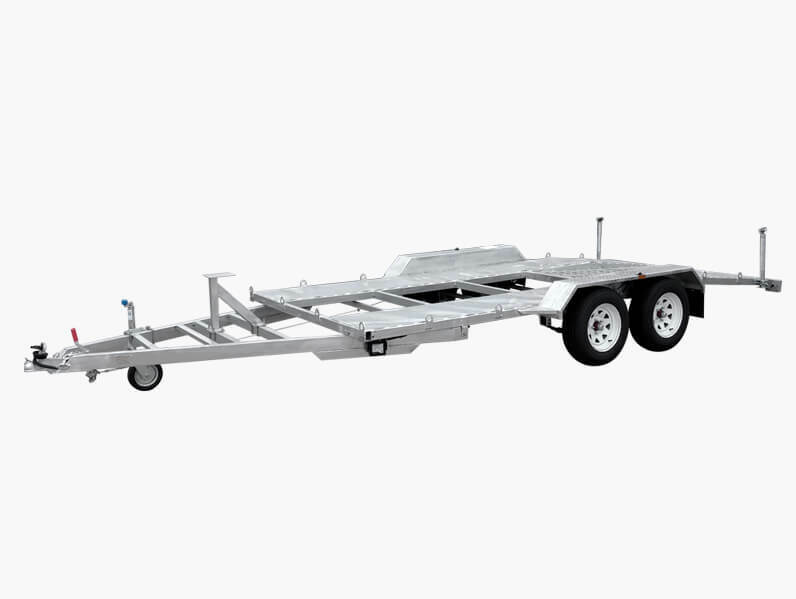 The lightweight construction of the Tucana means that towing is a breeze. 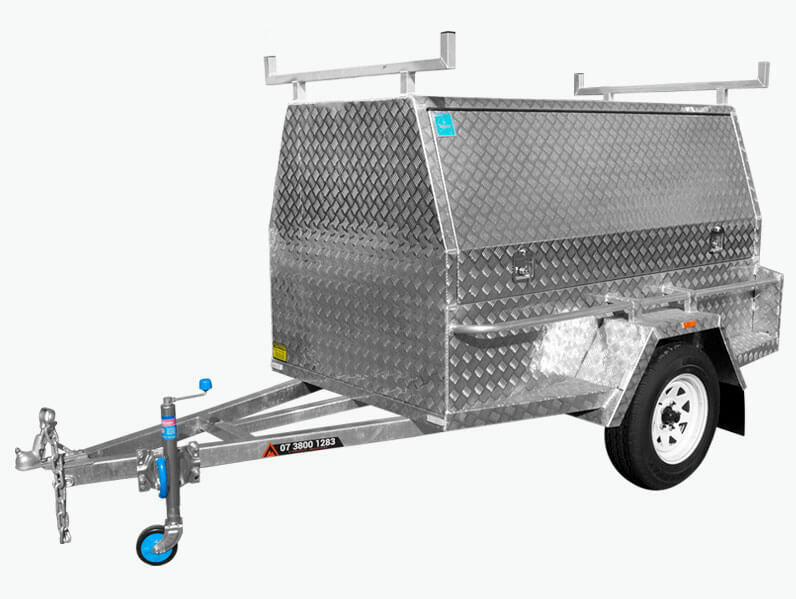 With only around 800kg tare and low-ball weights just about any standard car is more than capable of safely towing to your destination. 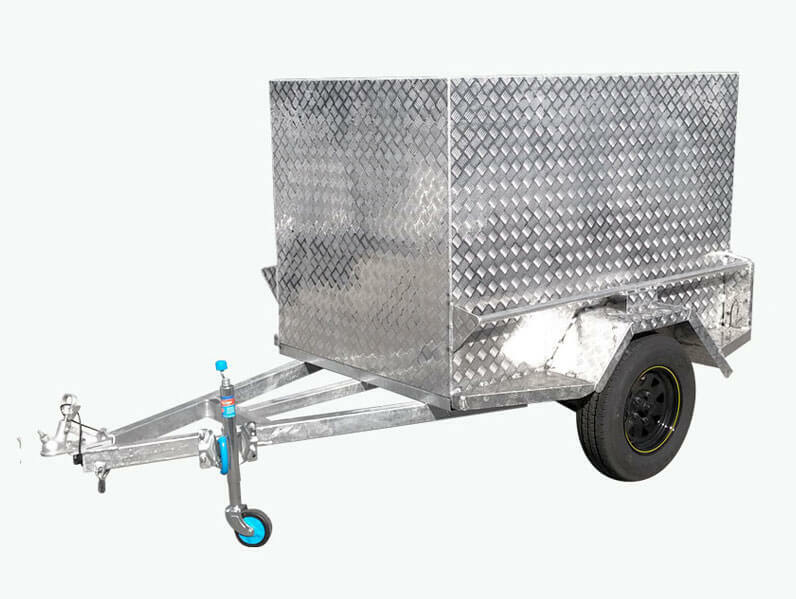 The ride is always smooth and enjoyable with full off-road suspension and an aerodynamic design.